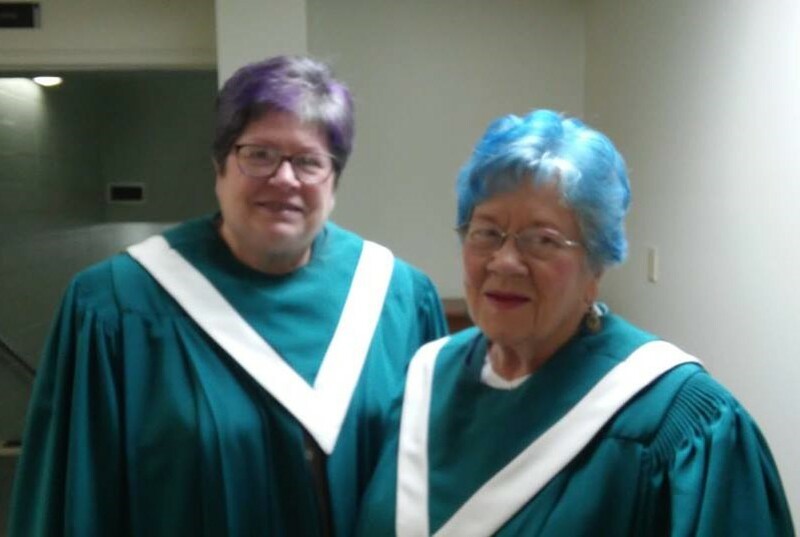 Daughter Linda and I had color added to our hair last weekend. 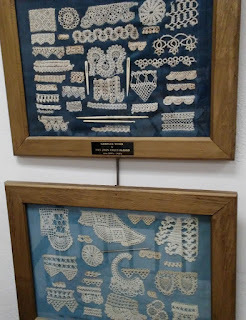 Mine is blue and Linda's is purple, though she needs to be under bright light for the color to show in her darker hair. Our first outing was to church, pictured here in our choir robes. 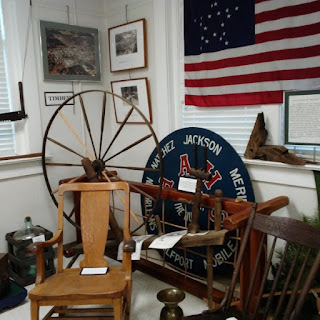 Then it was my pleasure to speak to the Norvell Robertson chapter of the Daughters of the American Revolution the next day. 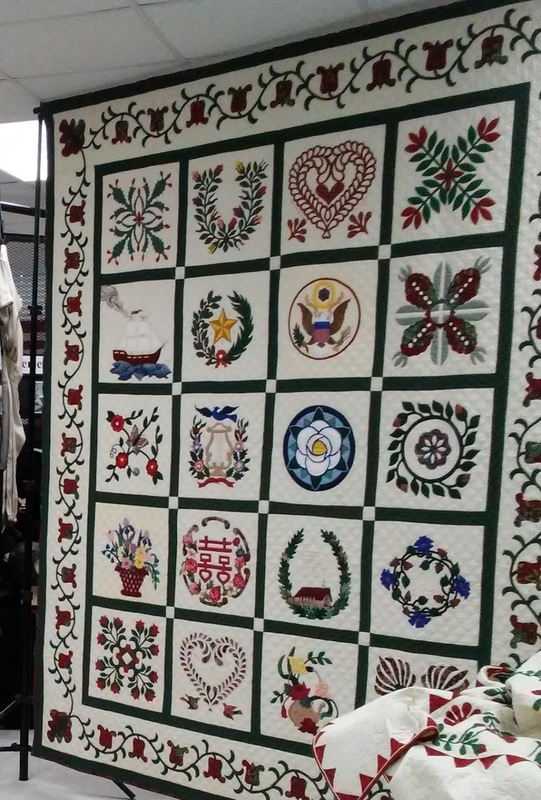 My topic was Baltimore Album Quilts, and I shared the story of the making of my quilt, "This Is My Story, This Is My Song." This style of quilt was unique and found primarily in such a specific location between 1846 and 1852 that they were given the name of that region--Baltimore Album Quilts. completed 1995, 84" x 100"
The DAR meets in the Hattiesburg Historical Museum at the Hattiesburg Cultural Center. Reciting The American's Creed and The Preamble to the Constitution with the group were meaningful and reminded me of my love for my country. 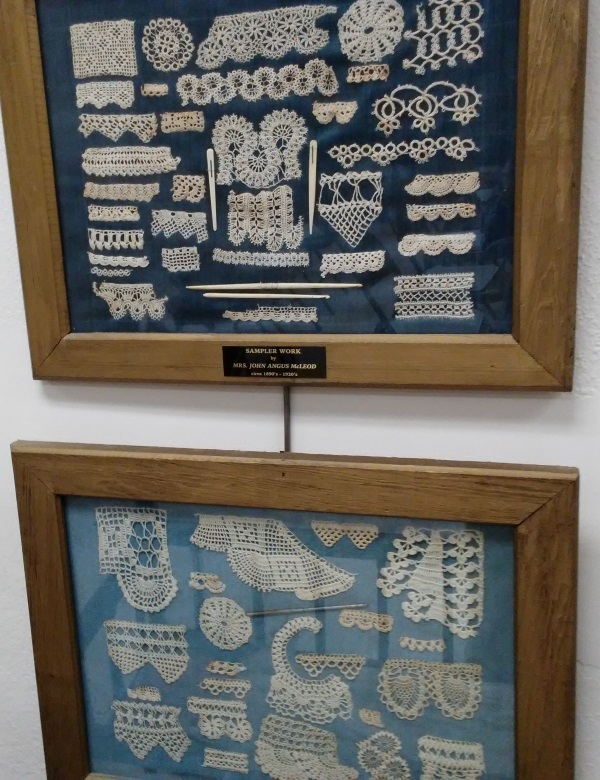 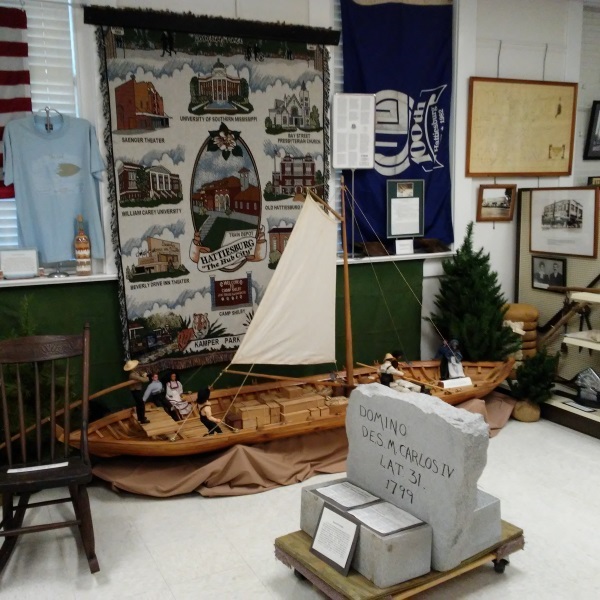 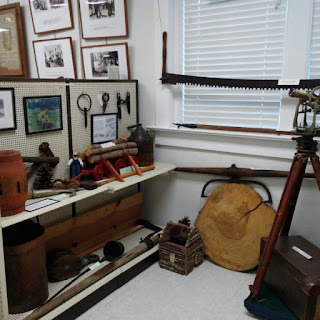 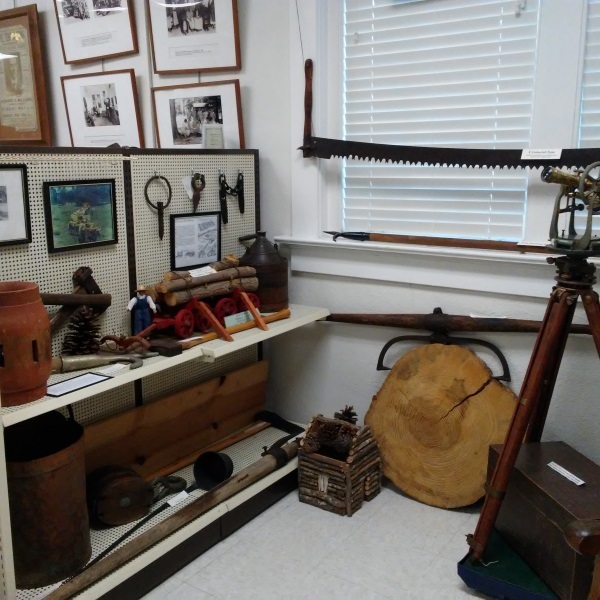 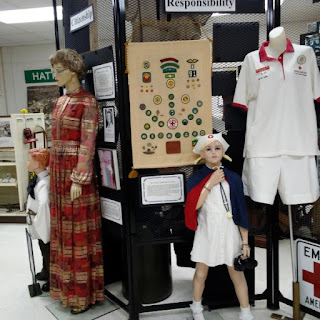 Though small, this museum displays interesting bits of the history of our area, highlighting timber, armed services, furniture, and needlework.